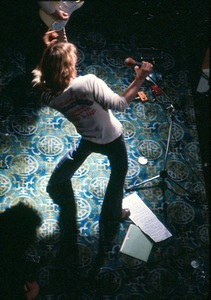 Massachusetts - Metelica dancing with microphone, shot from above. Sudbury (Mass.) - From a series of images of Gov. 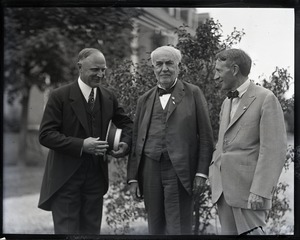 Fuller meeting the traveling industrialists. 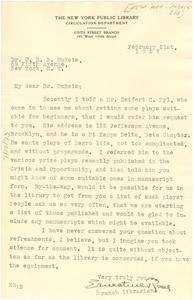 New York (N.Y.) - Concerning requests to the library for published plays. 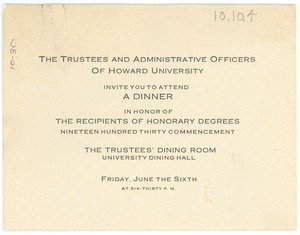 Washington (D.C.) - To be held June sixth at 6:30pm in the Trustees' Dining Hall. Washington (D.C.) - Arranging for Terrell, who has spoken of Du Bois in talks for the Eastern YMCA, to speak at the Atlanta Conference. 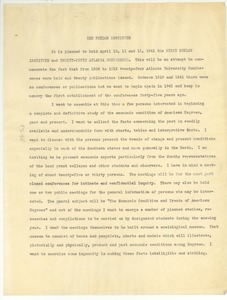 Du Bois's note for reply discusses subjects for the talk and travel arrangements. Written on stationery of the Justice's Court, Sub-district No. 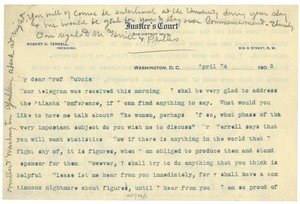 8, Robert H. Terrell presiding. 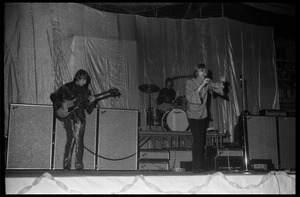 Letter from W. E. B. 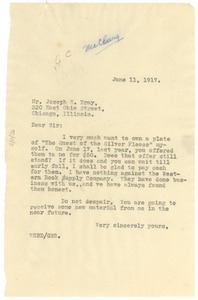 Du Bois to A.C. McClurg & Co.
New York (N.Y.) - Addressed to Joseph E. Bray, responding to Bray's inquiry about the sale of the plates for Du Bois's novel, "Quest of the Silver Fleece" to the Western Book Publishing Company in the affirmative and wondering if the plates would be available for Du Bois to purchase as well. Atlanta (Ga.) - Describing the prospective scope and structure of the 1941 Phylon Institute and 25th Atlanta Conference; outlining the principal aims of the event, its desired participants, and the elements of its emphasis on "the economic condition and trends of American Negroes." 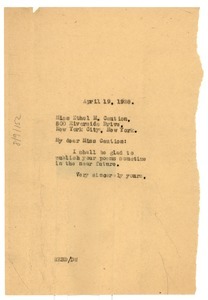 New York (N.Y.) - Gladly agreeing to print her poetry in a future edition of the "Crisis." 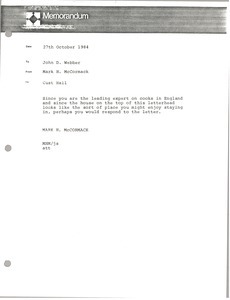 McCormack suggests Webber stay at Cust Hall in England.